The Seattle Seahawks destroyed the Denver Broncos 43-8 but karma got the best of Richard Sherman at the beginning of the fourth quarter, dealing him an apparent ankle injury. 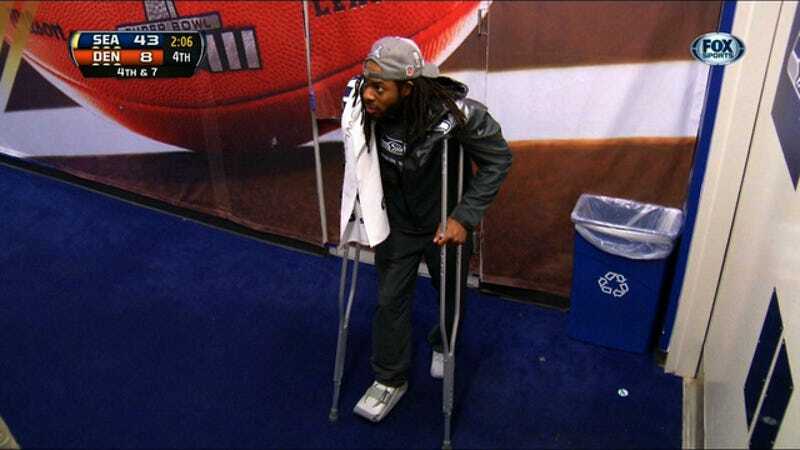 Upset with his running mouth, karma took him out of garbage time of a sewn-up Super Bowl and fucked up his ankle. Wonder what karma's gonna do to these people?